It was a great week! We've been working well with our ward members this week, getting great referrals and finding new investigators. We've been working with the bishop a lot, and he is so amazing. He's had so many trials in his life, including literally almost dying when he had cancer in his kidney about a year and a half ago. He has been branch president/bishop for 12 years now (branch president for 9 years, and then they combined his branch with another ward to form the Rural ward and called him as bishop about three years ago), but he doesn't show it in his attitude. He continues working hard, planning, visiting, ministering, everything. We can almost never find him home because he is always out visiting members of the ward if he's not working. He is a huge example to me of persevering to the end, not in a hard, trial kind of way, but enjoying the journey and loving people. I want to be more like him. We got some great news this week. After making a visit with Elder Levrino and Presidente Cantero, the Santa Fe Norte stake president, Presidente Perez told us that next transfer we are going to open a new area in San Justo, a city about 55 miles north of Santa Fe (about from Provo to Layton). It's a little bigger than Nogoyá, and there are two member families that are living there right now, so we're going to start what's called an organized group, which is a group that is dependent on another unit, and then once we get two more priesthood holders, we can officially turn it into a branch! It's pretty exciting, since I have arrived to the mission, we've already created three organized groups in the mission. The Lord is hastening His work, and it's incredible to be a part of it. Something we've really been working with is family history. The church recently did a study that found that when recent converts find a name of an ancestor and take it to the temple to do baptisms within two months of their baptism, convert retention improves significantly. 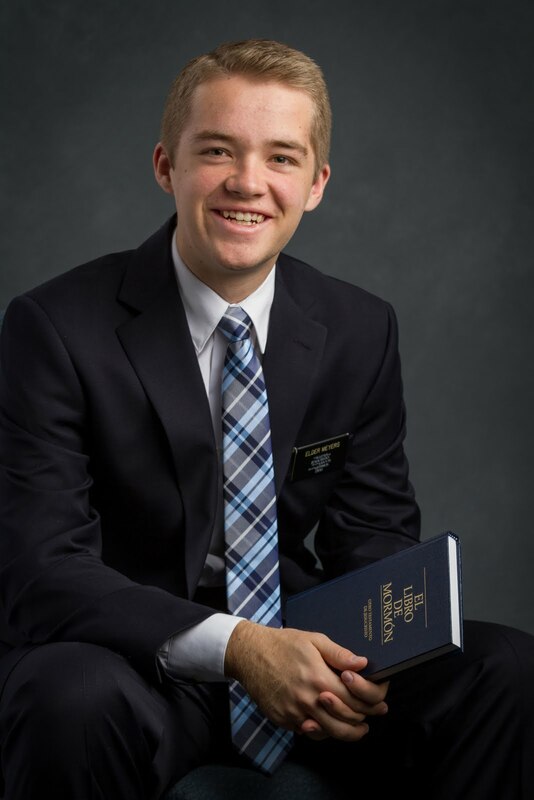 In a sample they did in a mission in Peru, when using family history and temple work to help strengthen the testimonies of converts, they saw the retention rate in the mission go from 20 percent to 80 percent. The Lord is hastening His work on this side of the veil and on the other, and this just tells me and testifies to me even more of the incredible power of family history and temple work. If we aren't doing family history, we need to find a time to do it. It is an incredible work with unfathomable blessings, promised by prophets and apostles. I know that if we do family history work, our testimonies will be strengthened, our capacity to love others will grow, and we will be protected from temptation and from evil. I know that this is the work of God. This is His work of salvation. May we all look for a way this week that we can take a greater part in His work! Elder Arnold came by with his family visiting his mission! I had no idea he was coming, so that was an unexpected surprise!